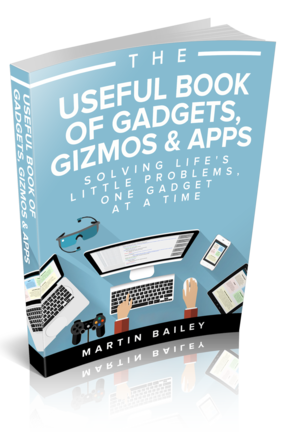 The Useful Book of Gadgets, Gizmos and Apps gives a completely independent, impartial view on all the technology, and items featured are ones the author has owned, used or recommends following in-depth research. The book is designed to be a short, succinct read, that can be picked up and digested quickly, so readers can easily find solutions to life’s little problems, some of which they didn’t even know they had. Published by Management Books 2000 Ltd, it's also available for co-branding, allowing companies to purchase small quantities of books with completely redesigned sleeves to match their corporate identity, making ideal gifts or Christmas presents. The book is available from October 4th 2016. More information is available at www.theusefulbookofgadgets.com.